Mexico is producing great tenors with the same astonishing frequency as the Dominican Republic emits major league baseball players. Javier Camarena is the latest, and perhaps the best, of the Mexican tenors to appear at the world’s great opera houses. 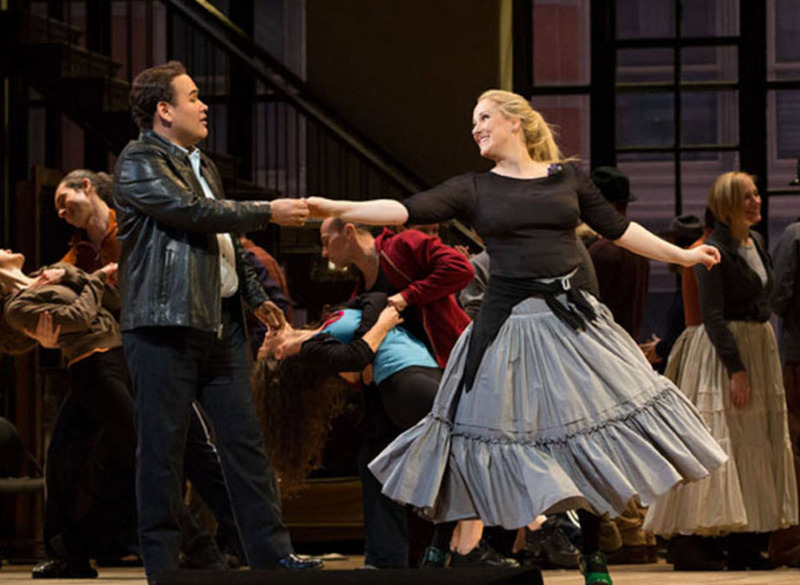 He has sung only 20 performances at the Met, but has already emerged as a star of the brightest intensity. He has already been granted more than one encore at the Met, only the second singer to achieve this distinction in the modern era. He is a bel canto specialist who combines both a tone of liquid gold with high notes that are almost wanton in their ease. Born in Xalapa, Veracruz in 1976, he is soon to move into roles that require more vocal heft. He has the Duke in Verdi’s Rigoletto on his 2017 calendar while Edgardo in Lucia Di Lammermoor is scheduled for 2018. At the Met he will sing the tenor leads in Rossini’s The Barber of Seville and the famously difficult role of Arturo in Bellini’s I Puritani – both next season. He will be joined in the latter opera by Diana Damrau with whom he sang the same composer’s La Sonnambula at the Met in 2014. His future Met assignments also include Semiramide and The Pearl Fishers. Here is the adagio and stretta that concludes the first act from the 2014 production. La Sonnambula Act 1 finale Damrau Camarena. Damrau is as fine as Camarena. The melodic writing explains the unqualified admiration that both Verdi and Wagner (not to mention Chopin) expressed for Bellini. Camarena also has the most winning personality since the prime of Luciano Pavarotti. His rendition of Beame mucho shows both his charm and what he can do with lighter music as well as his skill at singing piano without losing support; also note the lush tone, unusual in a singer who can navigate the vocal stratosphere. On the other hand, he can sing a big piece – Nessun dorma. Of course, this is from a recital. He’d never attempt to sing the part of Calaf in Turandot unless he were suicidal. A mes amis de from Donizetti’s The Daughter of the Regiment shows his extraordinary facility with acuti. When you combine the beauty of his middle voice with the brilliance of its top you have a once in a century singer. Another bel canto showpiece is Sì, ritrovarla io giuro from Rossini’s La Cenerentola. This aria shows Camarena’s skill with fioritura as well as his high notes. Everyone sings Una furtiva lagrima from L’Elisir D’Amore. The ubiquitous aria requires, and Camarena provides it, cantilena not fireworks. The 40 year old performer is just entering his vocal prime and should be at the top of the opera world for the next decade. It will be very interesting to see if his excursions outside of the bel canto world will be successful. I feel almost certain that his appearances with Damrau at the Met next February will provide the hottest tickets of the season. A bonus: Here’s Camarena’s encore of E se fia che ad altro oggetto from Donizetti’s Don Pasquale. It’s from his Met performance last March and ends with a high D-flat.